Jenson Cars Ltd is the best place to start your search for a used Hyundai Matrix for sale in Peterborough. We're a leading supplier of quality pre-owned vehicles, with options to suit every lifestyle and budget. 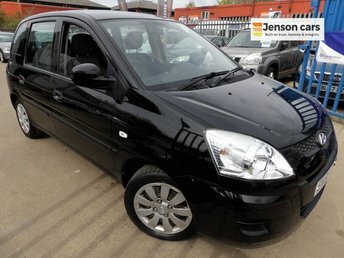 The Matrix is a small MPV that's nicely styled and makes great use of the space available. The car's high roofline ensures the car is easy to enter and exit, and there's plenty of room available for taller passengers in the rear. Why not take the opportunity to have a closer look at our complete range of used Hyundai Matrix models by heading over to the showroom. Our friendly team members will guarantee you a warm welcome and do everything possible to help you find a vehicle to match your requirements.